It doesn’t seem possible that it is already a week since we had to take down all the lovely woolly things in Belper Parks Wood. 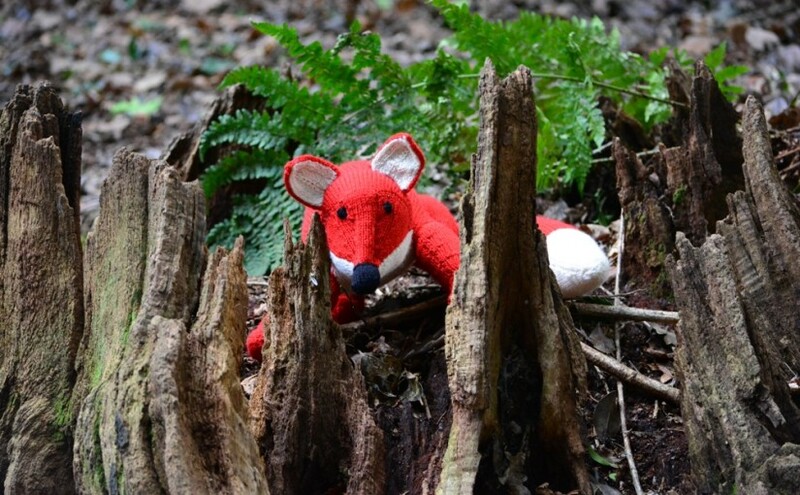 They had been in the woods for the Woollen Woods 2015. When you are busy time passes quickly! A Shed of my Own. I really need a shed and that is why I am entering the Beast Shed competition. It may seem strange but I have dreamed of owning a shed for many years but to buy a good quality one that will last, does cost a tidy sum. I imagined my shed to be quite a pretty affair with bunting hung outside, a metal cafe type table and chairs where I could sit and savour a cup of tea. A place to enjoy the garden even on wet days and a place to pot up some plants or do some knitting. Continue reading A Shed of my Own. Posted on April 27, 2014 February 26, 2015 Categories MakingTags beast shed competition, yarn bombing1 Comment on A Shed of my Own. 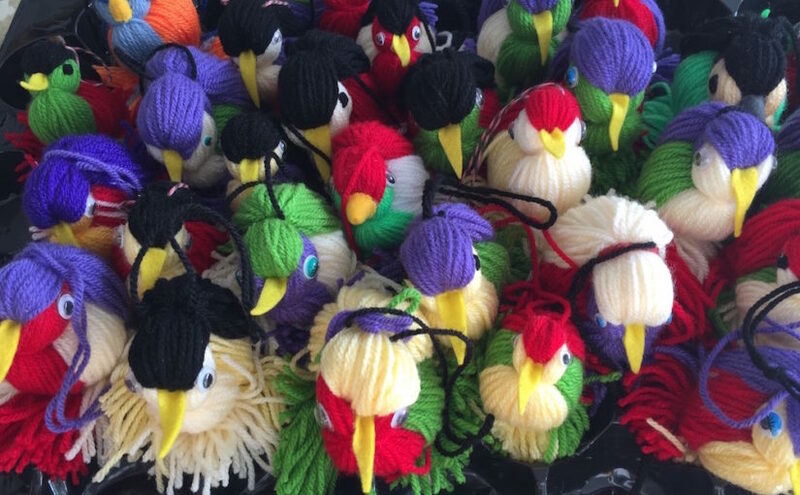 Yarn Bombing, yarn storming, knit graffiti is an activity that has really taken off in the last few years. It involves placing knitted, crocheted or felted items on railings, lampposts, trees, fences, bike stands and park benches. These items are left for the enjoyment of all who walk past them and they often disappear to find new homes where they continue to give pleasure. One of the most famous in this country has been achieved in Saltburn on the pier, details can be found here. 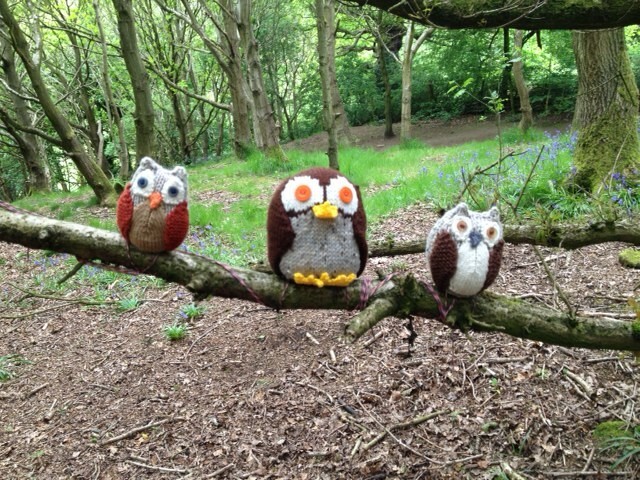 Continue reading Yarn Bombing in Derbyshire. 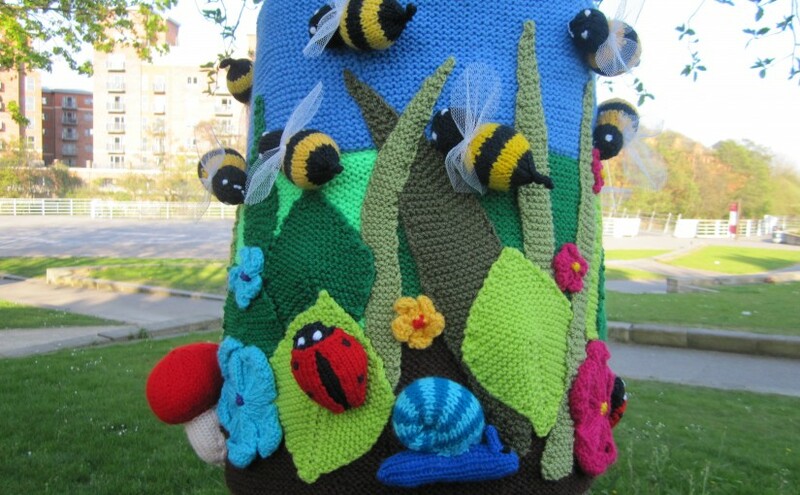 Posted on January 10, 2014 February 26, 2015 Categories MakingTags Derby, derbyshire, yarn bombingLeave a comment on Yarn Bombing in Derbyshire.